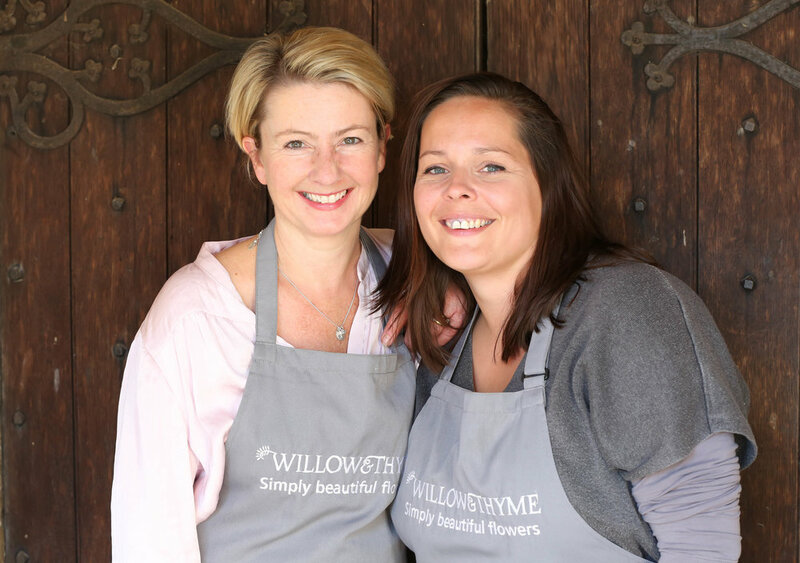 Willow & Thyme is an independent florist based run by Joules from her home studio in North Buckinghamshire. She and her experienced freelance florists specialise in weddings, events and floristry courses across Buckinghamshire, Oxfordshire, Northamptonshire & Hertfordshire. "What really inspires us is hearing about your dreams and your plans. Whatever stage you have reached in planning your wedding, huge congratulations, it really is a super exciting time. It's such a privilege to play a part in planning a wedding and making magical memories to last a life time, with natural, uncontrived floral displays, full of romance and charm. Equally, it may be a party or a special family occasion you are planning, either way, we promise stunning arrangements to blow you away. We relish the challenge of creating the larger scale displays but we also love the pretty little things, from stunning bouquets and perfect buttonholes to delicate flower crowns & simple bud vases. We are also planning to share more of our floral passion this year by running some additional fun & inspiring floristry courses, details to follow soon." We offer 2 options for wedding flowers, a fully “bespoke wedding service” where we advise and support you from the first consultation right through to the final preparations and set up for your big day. We have also recently introduced a “Collection Service” for couples who want to dress their church and venue but don't feel confident at tackling the bouquets and buttonholes. We can also provide buckets of cut flowers for you to arrange yourselves. "Please do get in touch if you would like more information, I would love to hear from you and and help you plan your big day. I also promise you a very warm welcome if you pop in for a consultation. Oh and please don't forget to follow us on social media."